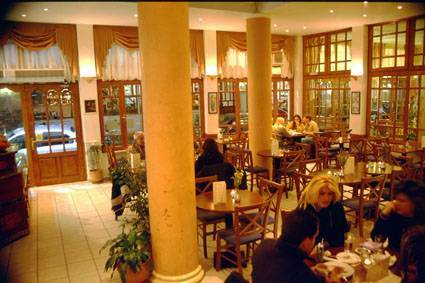 Dhelfoí (Delphi), Greece - 32, V. Pavlou & Friderikis Str. 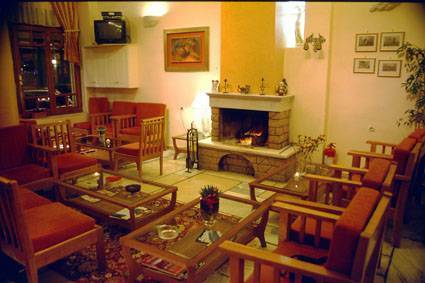 Parnassos hotel is the ideal place to stay all year round. 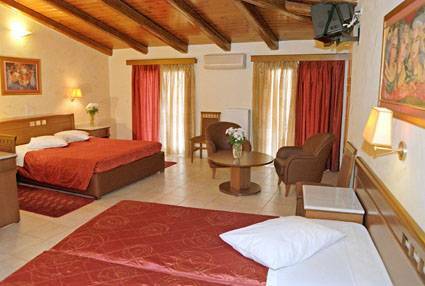 Centrally located in the heart of Delphi, it is conveniently situated for visiting the famous Archeological site and Museum (300 meters away), skiing (Mount Parnassos), hiking, swimming (Itea, Galaxidi), and exploring traditional villages. Its fabulous cafeteria is famous for its uniquely delicious crepes and local sweets. Additionally, it provides conference facilities for up to 100 people. Combining the traditional hospitality of Greece with the friendly atmosphere of a family-run hotel guarantees a carefree stay in a cozy enviroment. If the reservation is cancelled at least 72 hours prior to arrival, no charge will be made. In case, you do not cancel the reservation (preferable in writing), or cancellation notice is received less than 72 hours prior to arrival, or you do not show (N0 SHOW), a one-night fee will be charged. 32, V. Pavlou & Friderikis Str.